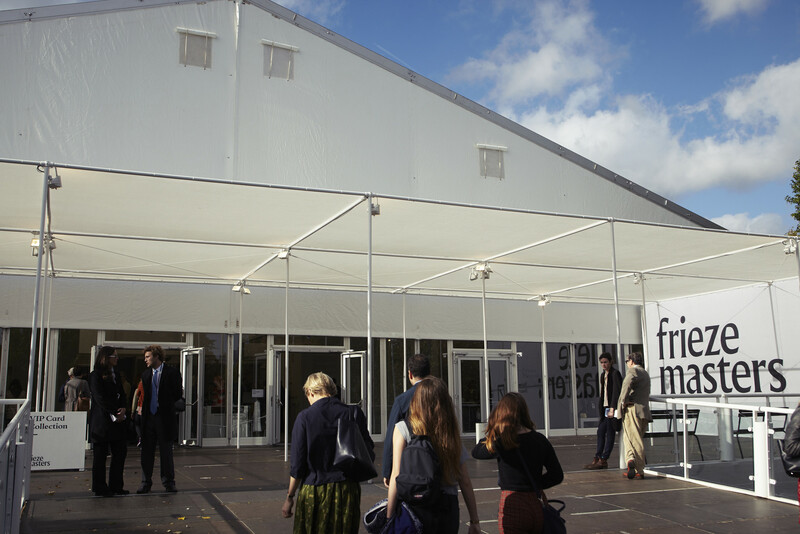 We go through Regents Park, historical location of Frieze London, and we found ourselves at Frieze Master, the Frieze London’s regal rib, which proposes from antiquity to 20th century art. The setting and installment are utterly different from Frieze London’s ones, and forget about the social customs of contemporary art, you feel throw into another world. Everything is so posh and you can breathe an air of money. People around are dressy and refined and feel at ease in a cocoon-like space that is light years away from contemporary’s cool but understatement one. The security service at the entrance also overawes, or maybe is only the power of suggestion of being in a place that seems almost holy, the house of the Muses, only much more business oriented. 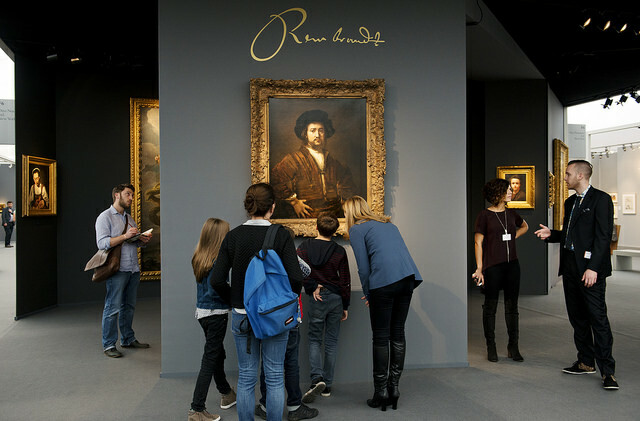 We move forward and the big names are not to be waited for: Cranach the Younger, Rembrandt, Delacroix, Degas, Gaugain, Picasso, Fontana and many more. Almost everyone are outstanding masterpieces, the ones that you think already musealized, and the fact that we can find them in a fair, make them psychologically accessible; we say psychologically, because if we get closer and read the labels, the values (when shown) have obviously huge dimensions and are prohibitive to the most. The Italian gallery are not that many but immediately reveal themselves. The Galleries Botticelli and Bacarelli’s stand is in fact pretty extended, and the set up reminds me of a little antiquity museum. In general, antiques and modern have high visibility and bargaining is in the air everywhere. A wind of inspiration comes from Henry Nahmad Gallery’s stand, the more crowded and talked about. 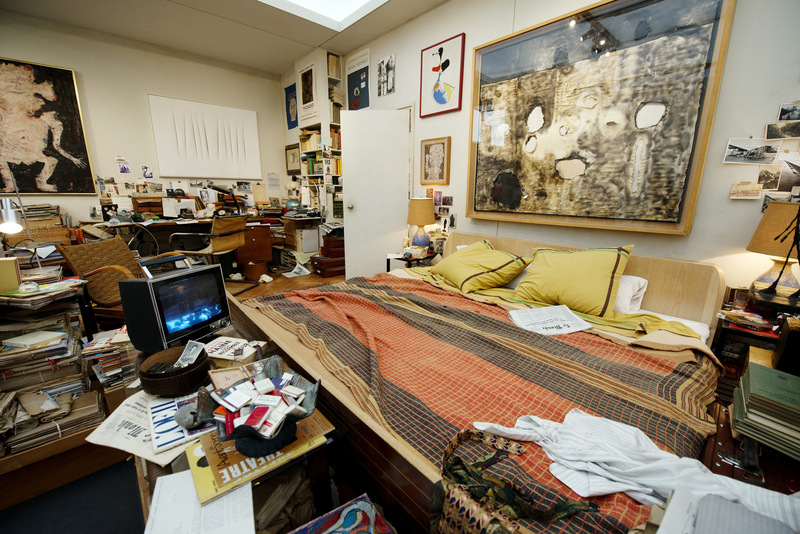 We found ourselves immersed in a fascinating installation which meticulously reproduces the house of a messy and wealthy Parisian collector in the 1968. In a set up which seems an intimate diary, we find a Fontana across from a stack of dirty dishes. Ahead of a tower of books stands out a terrific Burri, while on the television there’s a movie by Truffaut and the radio plays Mile Davis. Hauser and Wirth, the famous gallery hailing from Zurich and now based in London and New York as well, for Frieze splits and exhibits a selection of interesting early Jean Tinguely’s works, among which one of his famous driving machine of 1960.